The geographic region known as the San Rafael Swell is an uplifted area of layered rocks eroded into canyons, mesas, buttes, rock towers, and natural arches. The area is entirely in Emery County, Utah and constitutes almost 50 percent of the county land area. The San Rafael Swell is ringed by the following towns: Price, Green River, Hanksville, Cainsville, Emery, Castle Dale, Huntington, and Cleveland. Additionally, the northern border of Capital Reef National Park and the eastern edge of Fish Lake National Forest form the southwest edge of the San Rafael Swell. The area inside this ring of small towns, which we generally refer to as the San Rafael Swell, has no permanent year round population. What we have here is a vast desolate area, fantastic scenic beauty and potential adventure. The roads in the area date back to stock trails, ranch roads, and uranium boom era mining roads. The road surfaces in the San Rafael Swell are either dirt, gravel, rocky, or rock ledges and boulders. 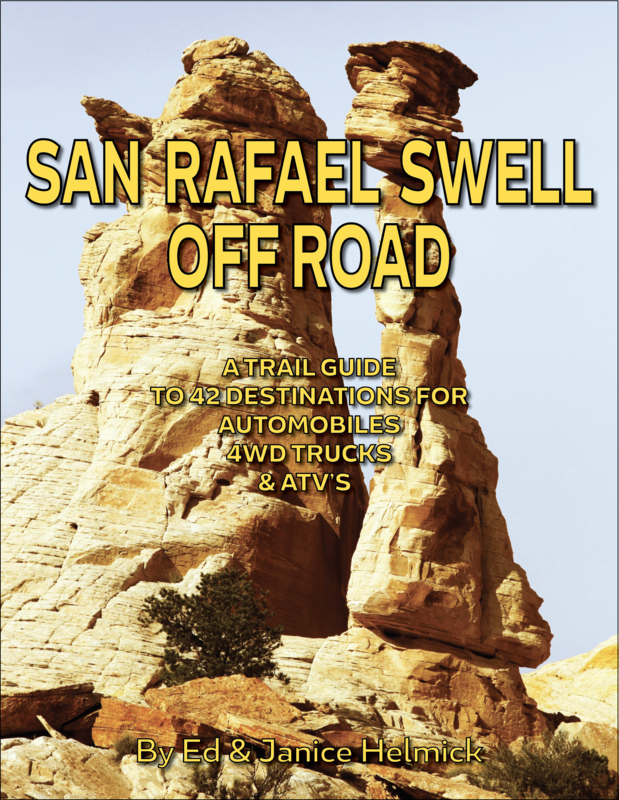 That is why the title of this book is San Rafael – Off Road. The only paved road in the San Rafael Swell is Interstate 70 which bisects the Swell in an east west direction for 67 miles and Moore Cutoff provides access points via unimproved roads. The term “Off Road” is used in this book because all driving is on unpaved roads. The roads may be easy graded gravel, moderately rough rutted or rocky roads, or difficult and challenging boulder crawling roads. Some of the roads may require high-clearance and 4-wheel drive vehicles. A classification system is listed in the book and all road trips in this book are classified for difficulty. The purpose of this book is to be a trail guide for exploring this vast area whether you are driving an automobile, 4WD truck, or ATV. An interesting historical notation is included with each destination road. 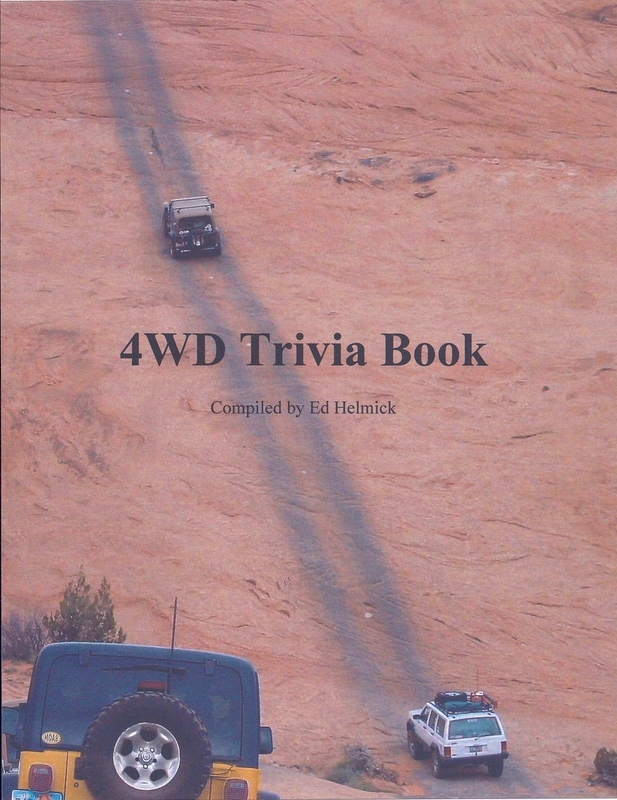 This book contains 1,000 questions and answers organized by vehicle brand, plus other off-road related items. 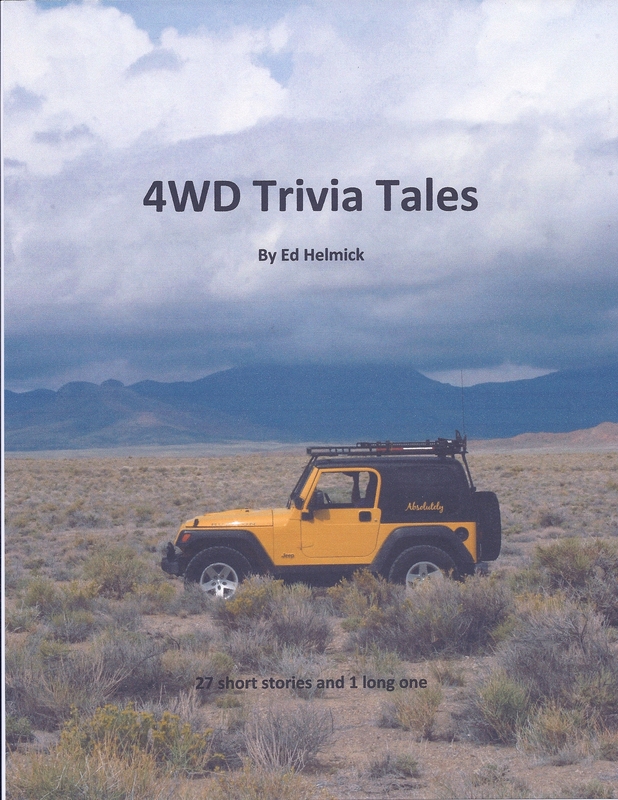 Enjoy twenty-eight short stories drawn from interesting trivia items from the 4WD Trivia Book. Hosting provided by Keen Logic Consulting.